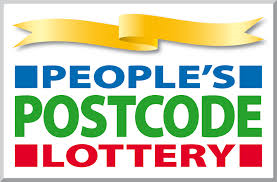 People’s Postcode Lottery manages society lotteries on behalf of a range of charitable bodies. These lotteries support charities and good causes. Players of People’s Postcode Lottery have raised more than £99.6 Million for charity. Players of People’s Postcode Lottery support sixteen Trusts. People’s Postcode Lottery has been operating in Great Britain since 2005. It mirrors the format of its sister lotteries in the Netherlands and Sweden.